There are few things more relaxing and healthy than a pleasant walk through nature, enjoying its beauty and serenity, along the way. If you have the opportunity to be in Hampshire, then such a walk may be just the thing you need to not just recharge your batteries, but to see this beautiful county for what it truly is. With over 3,000 miles of walkways, paths and byways crisscrossing all over the county, there is plenty of opportunity to explore this little gem. Here are a few popular routes that you can walk down for some pleasant little treks through Hampshire. If you are looking to head on down for a really long trek, then this is something that you need to try on for size. The walk route is around 34-miles and is a full day’s activity for the entire family. It takes you through all the gorgeous parts of Hampshire such as the wonderful cathedral-rich town of Salisbury, Christchurch Priory and more. There are five sections on this walk and you can choose any combination you want. Depending on what you pick, you could end up with a walk through meadows filled with ponds and some incredible wild life or you could be heading down some peaceful little villages along the high chalk downland. Stop wherever you want and have a picnic or just walk into one of those village pubs and make a trip out of it – the Avon Valley Path will always be a special place. 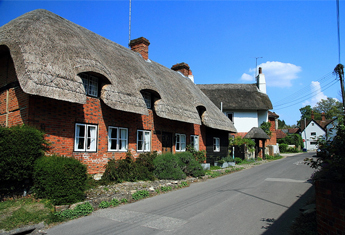 Hampshire is dotted with these little towns and villages that offer some beautiful architecture set amidst breathtaking natural beauty. As part of a popular health walk series that is trying to get people to pay more attention to their health and walk more, the Pennington Circular Walk route was created. The walk starts off from the White Hart Pub, on Milford Road and goes down the road towards Raven Court Road. As you pass through Rookes Lane, you hit the gorgeous Woodside Gardens. Just walk down along these gardens and go through Wisteria Walk to reach the Colonel Henry Douglas Rooke Memorial. A relatively short walk that doesn’t take too much time, this path is normally used by the walks organized by Healthy Walk. The 1.5 mile trip will take you about 30 minutes, if you are strolling leisurely, as you take in the attractive sights and sounds of this picturesque little town. 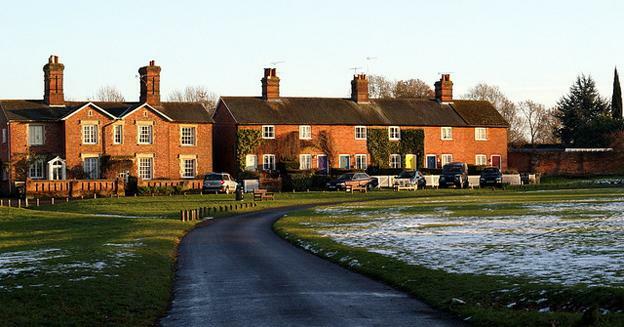 The Hartley Wintey village is all about its historical monuments from the Second World War. The route is a fascinating little trek that takes you through 5 miles of nice countryside, some extravagant buildings and an overall great experience. You walk past the Causeway Common and Cricket Green, the second oldest ground in Hampshire; before moving past St. John Church. Then you head on down through the MildMay Oaks that were planted way back in 1820, and reach the St. Mary’s Church, parts of which were built way back in 1234. This entire walk is planned well and takes you through some of the oldest monuments in Britain before mixing things up with some relatively modern creations as well. An absolute joy riddled with kissing gates and even a steep descent, you will enjoy every minute of this short trek. 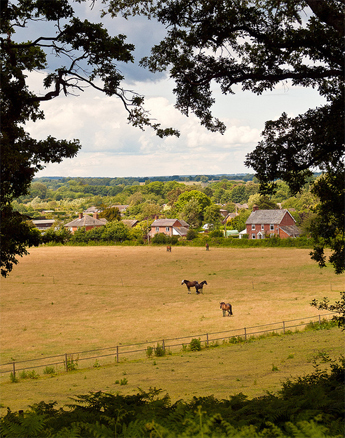 Designed and planned around the village of Selborne, the Monk Walk takes you through 275 acres of the National Trust meadow, woodlands and commons, which are open to public throughout the year. The walk takes you through all the major attractions and beautiful buildings in the village, before leading you out into the countryside. Once you enter the woods, you cross over into farmlands, walk across streams & bridges and make the most of a enjoyable day. The walk is around 7 miles long but you do have the option of cutting it short with a 2 or 5 mile loop that cuts across the valley. A fantastic way to see the Selborne village and visit the Blackmoor community, you will keep coming back for more on this one! At 3.5 miles, this route is another one of those medium walks that keep you interested throughout the journey. There are some extremely stunning views not just of the village, but also of the natural beauty that surrounds it. You walk past some incredible monuments like the St. Nicholas Church and the Plough Public House before hitting the road between West and East Aston Common. There are some fabulous sights but none more so than the long wooden bridge that just makes you want to stand and stare at nature. This is one walk that every nature lover will flock to, and if you happen to be in Hampshire, near Longparish, then you had better head on down this great route. If you are visiting Hampshire for an extended break then as well as a fantastic range of individual hotels and bed and breakfasts in the area, there are also some excellent static caravans in Hampshire that can be rented out.